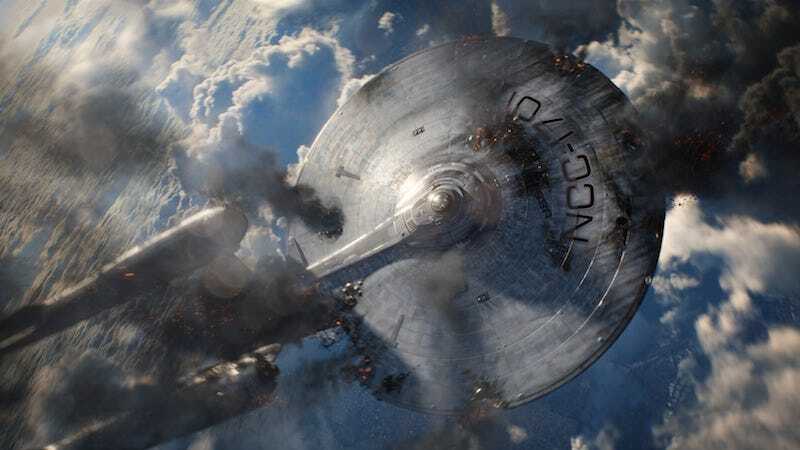 Would It Be That Bad If the New Star Trek TV Series Was Set in the Reboot Universe? Despite earlier rumors to the contrary, another rumor surfaced last week which claimed that there was still some uncertainty over which universe the new Star Trek series would be set in, that of the original series, Next Generation, DS9 and the like, or the new universe of the recent movies? But we have a better question: If CBS decided to go the reboot route, how bad would that really be? Again, nothing’s been officially confirmed, and the information that does exist is slightly contradictory. On the one hand, Birth Movies Death says that it definitely won’t be set in the NuTrek/Abramsverse universe of the most recent movies. 1701News has a source that says that there is a group at CBS which sees the original “Prime” Star Trek universe as “closed for business.” Both sites agree that the show is going to be set after the time of Kirk but before Picard. While I’m more likely to credit Birth Movies Death’s multiple sources to NC1701's single one, it would not surprise me if there was a fight going on about which universe to set the new show in. As much as it pains me to admit as a fan of classic Star Trek, there are real advantages to doing the new show in the new universe. The obvious benefit is the ability to draw in new viewers. There hasn’t been a live-action installment in the Prime Universe in 11 years. The last seven years have had us all bombarded with marketing for the reboot movies. There are absolutely fans out there who do have a greater familiarity and connection to the new universe than the old one. Plus, setting it in the new universe has the advantage of wiping the slate clean. Setting it after Kirk’s run on the Enterprise makes a lot of sense if it’s in the new universe, but a touch less sense if it’s in the original timeline. In the new timeline, the show is the chronologically the latest thing to happen in that universe—new ground for both the characters and the fans. The movies—and whatever they choose to bring over from Enterprise—are the only continuity they have to worry about. They don’t have to worry about doing anything that doesn’t work with The Next Generation, Deep Space 9, or Voyager. Anything from the original timeline that shows up will be because the writers want to bring it in, not because continuity demands it. Using the new universe would allow the writers reinterpret a lot of Star Trek, something we know from Hannibal Bryan Fuller can do really well. One of the other rumors (mentioned by Birth Movies Death) is that the show is being conceived as an anthology, letting the show move around the universe and the timeline with each season. They could remix anything they want in the new universe if that’s the case. It both makes the show less intimidating to new viewers and a freer world for writers. And for the studios, it gives them a small-scale interconnected universe. One digital series and one movie series is nothing as complicated as what DC or Marvel has running, but still gives depth to the whole endeavor. The biggest reason not to do it is basically logistical. There are hilariously complicated rights issues between CBS, which controls Trek on TV, and Paramount, which controls the movies. These issues were the reason why there wasn’t a new television series before, even though J.J. Abrams wanted to make one. Setting the new TV show in the new universe would require CBS and Paramount to play nice together regularly; setting a show in the original timeline wouldn’t require nearly the same amount of work. The other reason to use the old timeline is the flip of the “blank slate” reason to do it. A lot of depth is lost when all the characters fans followed for years suddenly don’t exist the way fans remember them anymore. I, for one, care significantly less about this universe than I do the old one. For the pure selfish reason that I want to see new live-action adventures in the universe I love more than any other, I hope the show takes place in the original timeline. I also think that’s the most likely outcome. However, there is a real appeal to setting the show in the new universe that can’t really be denied. I have, in the course of writing this, managed to convince myself that I could like a series based in the new universe. Well, definitely more than I like the new movies. Either way, wherever (and whenever) the new Star Trek TV show ends up being set, it’s going to have to navigate that universe very carefully.